The 2 Half-Squads: Advanced Squad Leader Podcast: Episode 157: Bing Bang Bong! Episode 157: Bing Bang Bong! 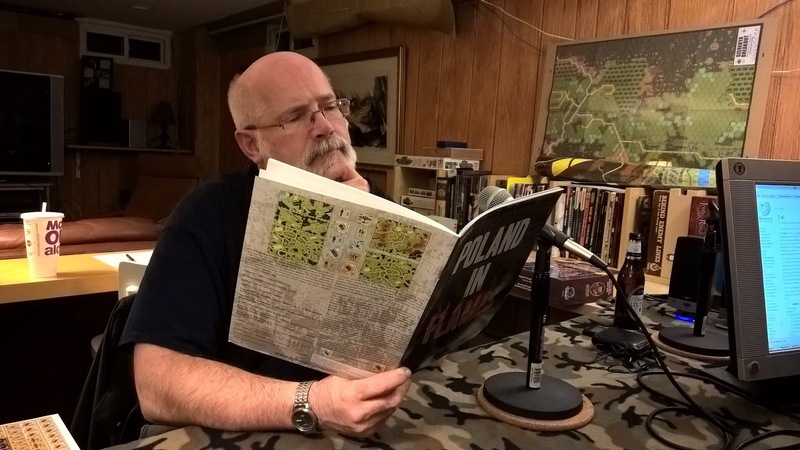 Last episode were very excited to tear into Bounding Fire Production's latest masterpiece, Poland in Flames. Chock full of gorgeous maps and counters, scads of exciting and enticing scenarios, vehicle and historical notes, and more, this massive ASL module was too big to fit into one show. So we return to it here and discuss one of the fine articles contained in the accompanying Poland in Flames magazine, Pyromania. It's guaranteed (figuratively) to warm your cockles (literally). We would like to apologize here in writing to all Martians, Big Foots, Australopithecines and all fine persons of Korean heritage. We proud to have Ritterkrieg as the sponsor for this episode. You can purchase many fine Advanced Squad Leader products, including Poland in Flames. Don't leave background music play for the entire segment--like this week's letters. It's distracting. I really enjoy the easy rapport you guys have. It's hard to believe you both now insist on separate limos and dressing rooms and only communicate through a staff of personal assistants and legal representatives when you are not actively recording a podcast. The ambient music is just fine, don't listen to that old man. Also, more bongos. Someday I'll write a real comment to you guys, telling you of how I appreciate you and what all, and how this podcast convinced me to try out ASL, blah blah blah. But for now, heed my advice, since I am in the coveted millennial demographic your advertisers so crave. "Quest for Fire" is a good movie, not a great one. You're right, Old Man. I am too generous in my use of "great" in my everyday speak. Other than that, it was a great show, don't you think?